Immigration of low-skilled undocumented workers to the United States is petering out -- even without a border wall. That's the conclusion of a research paper published by the Brookings Institution on Thursday. The researchers, from the University of California San Diego, say the population of low-skilled undocumented workers has been declining for years and will keep declining, even if President Trump doesn't follow through on the wall. "The current U.S. debate about immigration policy has a backward-looking feel to it," the researchers write. There was a big influx of low-skilled workers into the United States from the late 1990s to the early 2000s. 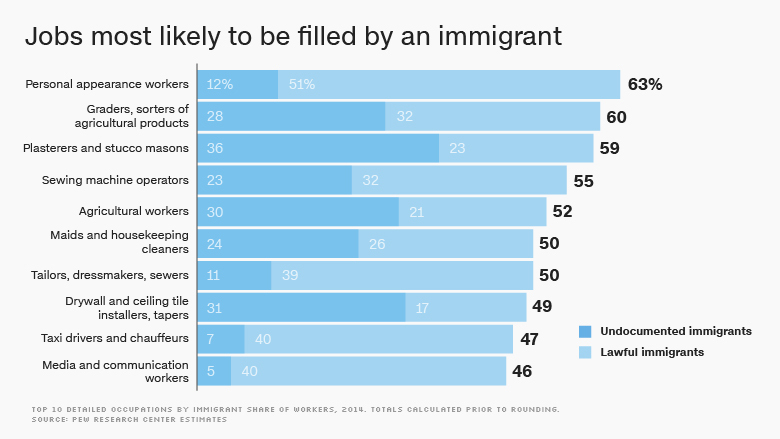 Then the Great Recession crippled the housing market and the construction industry -- the second-leading employer of undocumented workers in the U.S.
Worker arrivals from all of Latin America are expected to keep falling. And the authors expect immigration of young workers from Mexico to fall to practically zero by 2050, even without new policies to deter immigration. Mexicans have long made up the largest proportion of low-skilled undocumented workers in the United States, but previous findings from Pew Research have suggested that more Mexicans are leaving the United States than coming in. Beyond the economic downturn, the authors point to other factors keeping low-skilled immigrant workers at home. The Baby Boom in the United States slowed in the 1960's, but the researchers say the Latin American Baby Boom didn't ease up until the '80s. So while the supply of working-age Americans began to decline in the '80s, the supply of working-age Latin Americans kept growing, and they were drawn to the United States by strong demand for labor and higher wages. But today there are fewer working-age people in Latin America, and the researchers say there will be even fewer in the future. Trump's rhetoric may be new, but immigration enforcement has been increasing for years. 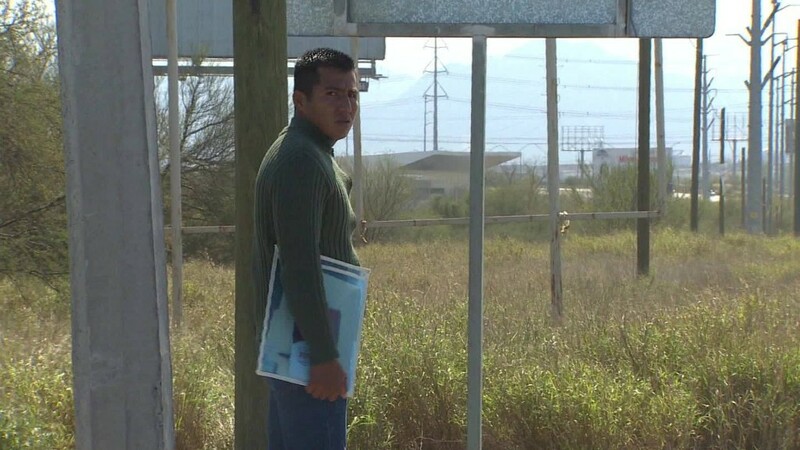 Between 2000 and 2010, the researchers say, the number of Border Patrol agents doubled to 17,500. Deportations of non-criminal immigrants rose from 116,000 in 2001 to an average of 226,000 a year from 2007 through 2015, they say. It was in trouble in the '80s and '90s but has vastly improved. The 2000s were a time of steady economic growth, the researchers write. So earning power for low-skilled immigrants in the United States dropped compared with what they could make in Mexico. In the '90s and early 2000s, a middle-income worker in Mexico could expect to make 2.3 times as much in the United States. Since 2007, that has fallen to 1.75 times, the researchers say. That's why the researchers say they don't understand the urgency for stricter immigration enforcement and a border wall. "In light of the changing demographics of migrant-sending nations, the current emphasis of the U.S. government on further intensifying immigration enforcement is puzzling," they say. "Why build a wall to stop an immigration surge that has largely already occurred?" It isn't how to keep immigrants out, but how to deal with the aging of those already in the United States. The average age of an undocumented worker in the United States today is 40, and the researchers forecast that by 2040 it will be 70. In the next 15 years, the researchers expect the Latin American-born population over 40 years old to grow by about 8.5 million, or 82%. "We should expect sizable growth in individuals relying on public safety-net programs," they say. "Under existing financing rules, U.S. states and localities would be the entities primarily responsible for shouldering these costs."